Did you know the installation of grab bars is one of the easiest ways to stay safe in the bathroom? 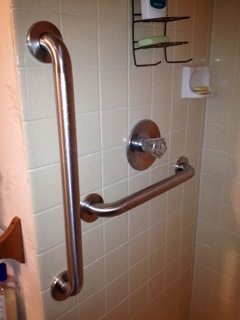 Grab bars provide confidence to many people who worry about falling in the bathroom or have issues with their equilibrium. These common and effective bathroom safety devices are easy to install and are a cost effective way to provide the confidence you need when entering and exiting the bath.